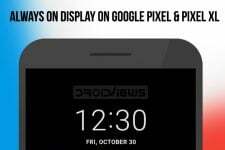 AOD or Always On Display is a feature that brands use to promote their devices. 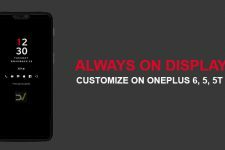 Manufacturers like Google, Samsung, and LG all offer one on their flagships. If you own any other device, have you always felt the need to have an always-on-display functionality on your phone? It may be because you wanted it to act as a desk clock or just want to be notified as soon as you receive a message. If you’re anyone with that requirement but your phone’s manufacturer hasn’t included the Always On Display feature for hardware and/or software reasons, here’s a list of apps that provide you a lot of those functionalities. The free versions offer basic functionality and a bit of customization. But if you want the most out of them, I recommend you pony up for the pro versions. 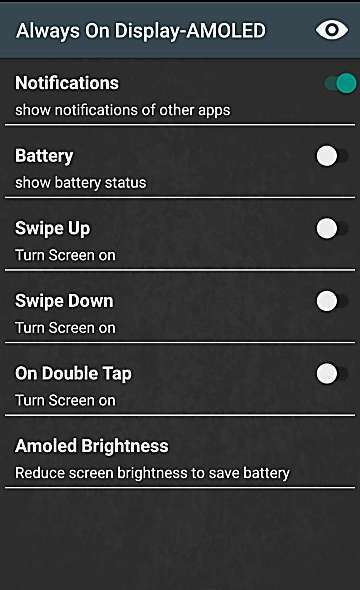 This app is offers basic Always-on-display functionality for any Android device. It even has the option for displaying current battery percentage and you can even set the brightness for the clock. There’s a fair selection of watches on offer. 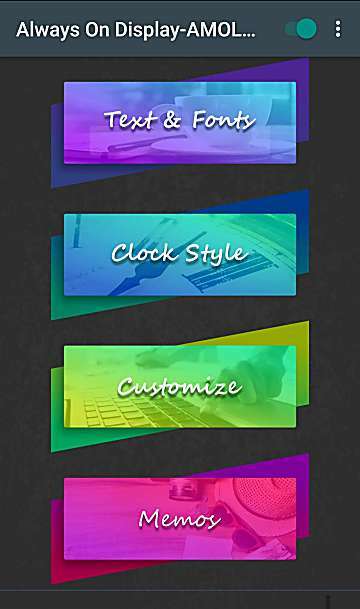 You can also perform basic customization like changing the font, its size and its color. The only downside this app hasare the annoying full screen ads that you encounter whenever you try and customize the AOD from the app. This, however, doesn’t get carried over to the actual AOD UI and it, thankfully, is free from any ads. 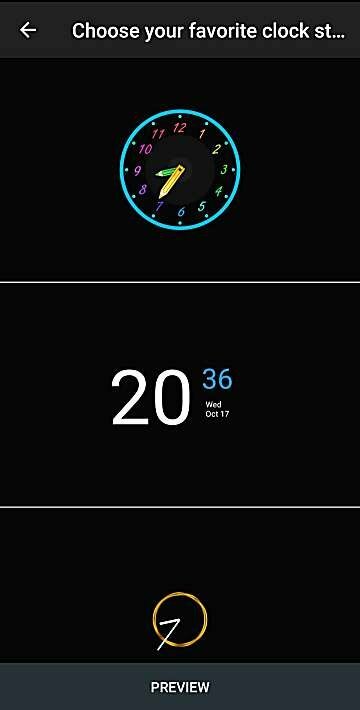 This app aims to offer an AOD which does what its supposed to do: show notifications. And from using it, I can say that it lives upto its promise. The ads can be a bit annoying while setting up the AOD to your liking, however. These, again, only show in the app and not on the AOD itself. There’s a limited selection of watches and fonts to choose from and the customization isn’t like what’s on competitors. But the basic functionality is solid and rarely does it fail to trigger the AOD when the screen goes off. This last app on the list is one that even the most novice of smartphone users would feel comfortable using. 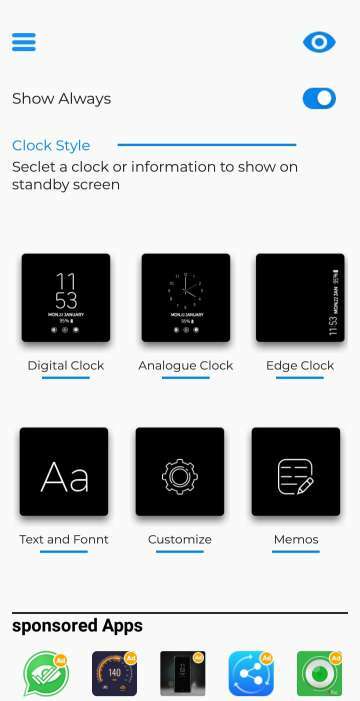 The UI is very straightforward and prompts you to select between a digital, analog or an edge clock design. There’s a small selection of fonts which all look very minimalist. Read also: Does Lowering the Screen Resolution Increase Battery Life? 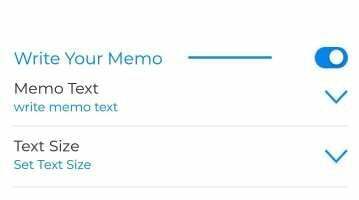 All the basic functionalities like music control and notifications are provided and there’s also an option to take down memos on the Always On Display. 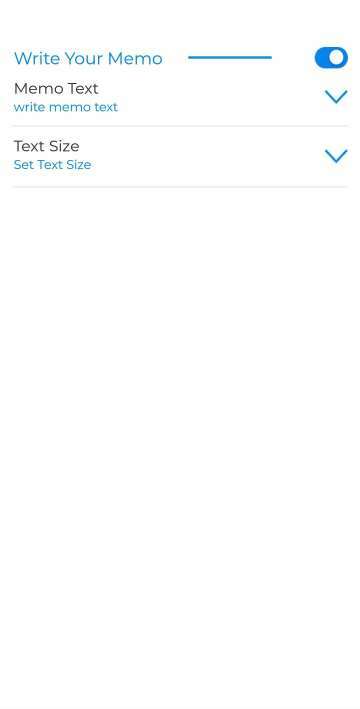 There is no pro version available which extends the functionality of this app and that means you’ve got to live with ads all throughout the app. 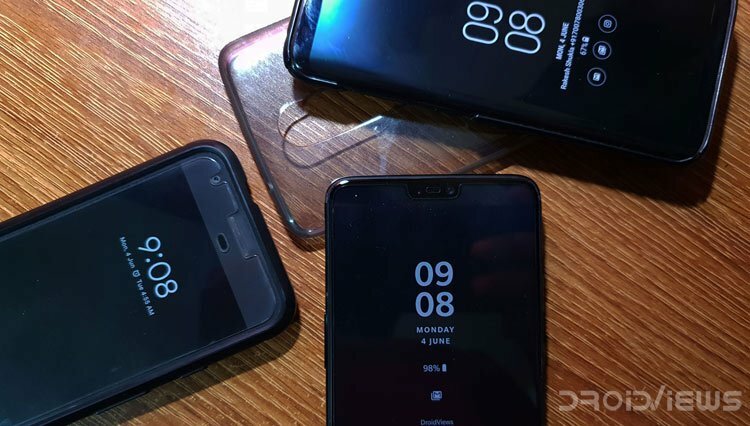 Now even though these apps will work on almost all devices, it is recommended that you use these on devices with an AMOLED display, if the names of the apps hadn’t made that clear yet. 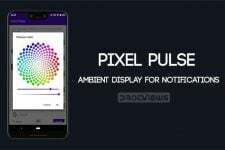 This is because while displaying the color black, AMOLED displays turn off the pixels completely while LCD displays still need to light up the whole array of LED backlight to light up the pixels which display the information. This results in way less consumption of the battery by the display. So if you experience battery drain issues with LCD displays, it is not the app but the display technology that is the culprit. Another thing you need to keep in mind is that these apps might not function perfectly. 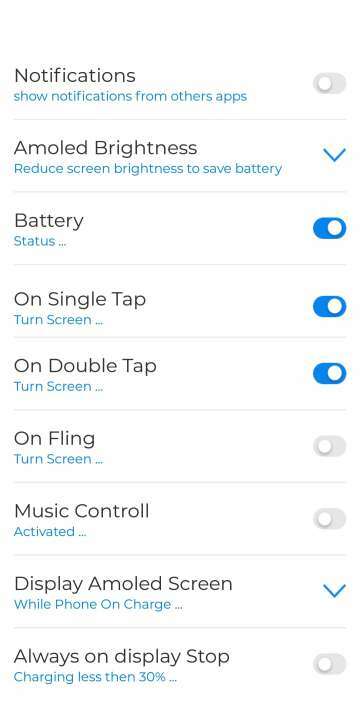 Unlike first-party AOD functionality that is tailored to one device, these apps are designed to run on different phones.